A colourful melange of opulence and royalty best exemplifies Rajasthan tourism with its grand forts, desert safaris, fairytale palaces, and vibrant festivals all around. Delicious food, camels and hot-air balloon rides, captivating folk dances, exquisite handicrafts, wildlife expeditions, bustling marketplaces and historical forts & palaces, Rajasthan has it all. 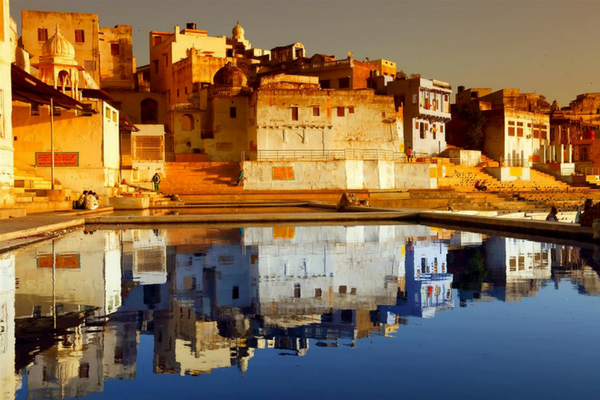 Here we get you the best list of places to visit in Rajasthan. 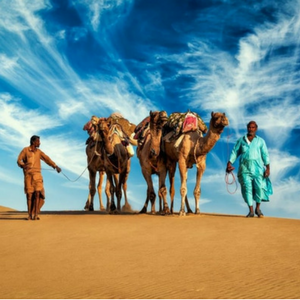 In the heart of Thar Desert, Jaisalmer is known as the Golden City for its beautiful sun-soaked sand dunes, exuberant forts, grand palaces, temples and rich culture and traditions. 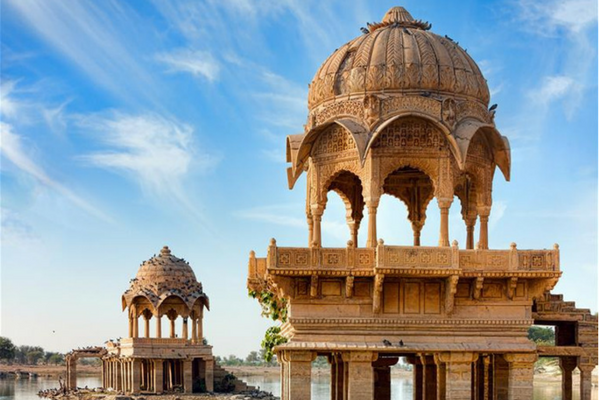 A visit to Jaisalmer should be on your list of places to visit on your opulent Rajasthan tour packages. The best time to visit is between the cooler months of November to March. Witness the magic of Rajasthani art forms in the annual Desert Festival in January-February. Take a camel safari to the Sam sand dunes and camp overnight for a surreal experience. Feel the history at the Longewala border. The ‘Pink City’ Jaipur is one of the most majestic and colourful cities of India with its strong historical background and vibrant culture. It is one of the best places to visit in Rajasthan. Don’t miss City Palace, Amber Fort and Palace, Jantar Mantar Observatory and Birla Mandir. Best time to visit is from October to March. Shop for Rajasthani crafts, textiles, and gems here. 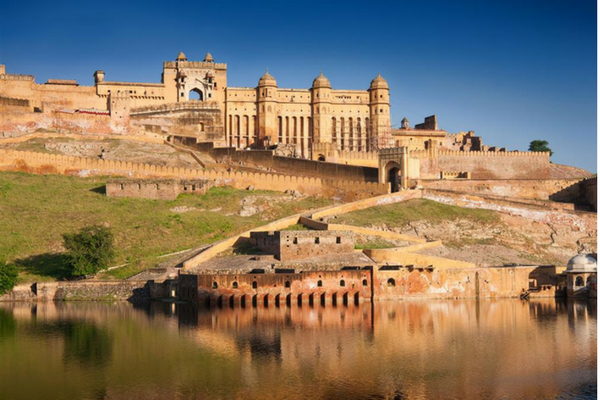 The royal city was the centre of power of the then Mewar, and has beautiful forts, palaces, and temples to enchant you. 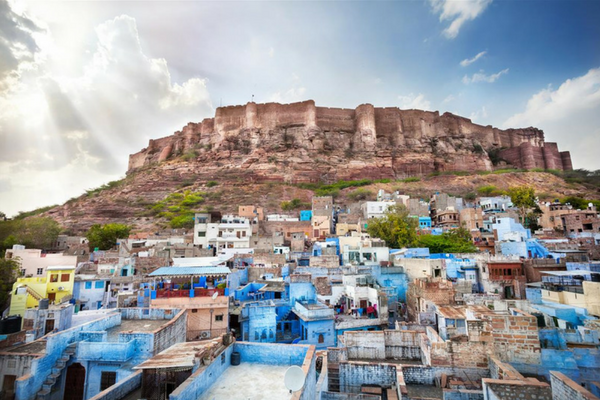 It is one of the most enchanting cities of Rajasthan with the mighty Mehrangarh fort overlooking the city and should not be missed when you are in Rajasthan. Don’t miss the beautiful Umaid Bhavan Palace, Mandore Gardens, and Jaswant Thada. Best time to visit Jodhpur is between October to March, when the weather is pleasant. A day visiting the Serene Sardar Samand Lake should be on your itinerary of places to see in Jodhpur. One of the most ancient cities of India, Pushkar is astonishingly brilliant as the city has its own share of charm and serenity. Your Rajasthan tour is incomplete without a visit here. Pushkar houses the rare Brahma Temple and on your visit there make sure you catch the magnificent evening aarti. Check out the colourful annual Camel Fair. That is an amazing experience. For a truly spiritual experience, explore the many temples that are spread across the city. 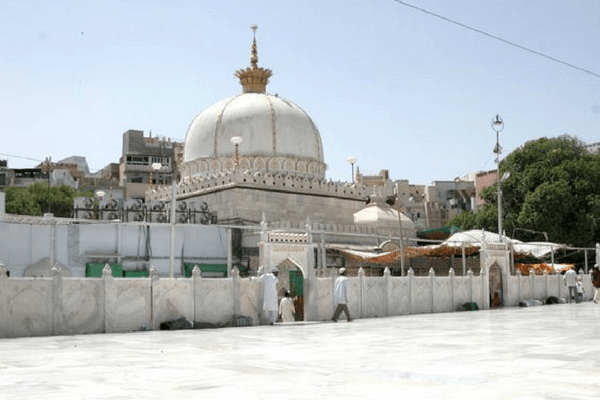 Popular for the Dargah Sharif, the shrine of Sufi saint Moinuddin Chishti, Ajmer is where you head for your spiritual quest. It is one of the most popular amongst Rajasthan’s tourist places. Attend Qawali at Dargah Sharif, that’s an interesting experience. Don’t miss the beautiful Ana Sagar Lake. 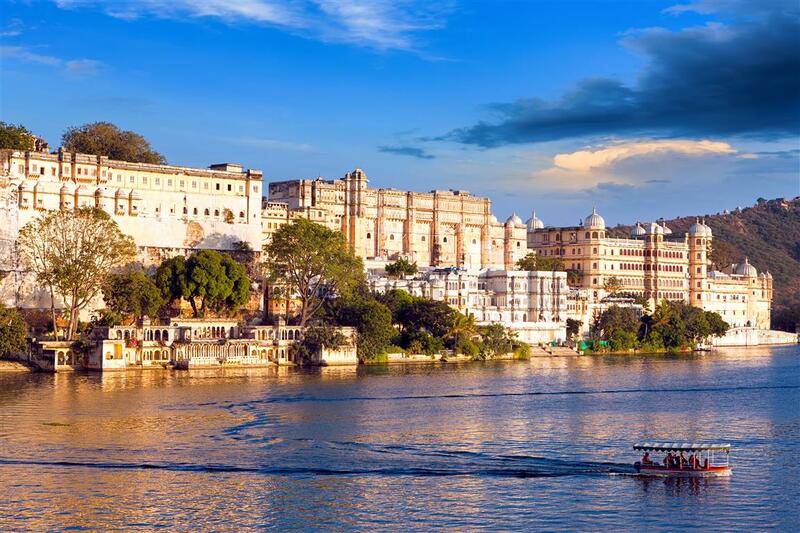 Udaipur, known as the Venice of East, is very popular amongst the tourist places in Rajasthan for its rich and colourful history, mesmerizing landscapes, and majestic traditions. Spend a day exploring the beautiful lakes of this city like Lake Pichola, Fateh Sagar, and Udai Sagar Lake. The stunning City Palace and Monsoon Palace give a great insight of the rich culture of the place and are one of the places to visit in Rajasthan. If you love cars, especially the vintage ones, you should definitely head to the Vintage Car Museum, which is open from 9 am to 8 pm. Flooded with temples, forts, and palaces, Bikaner is known for the Camel festival usually held in January-February. The stunning city is a very popular choice amongst Rajasthan’s points of interests. If you are not creeped out by rats, then a strip to the unique Karni Mata Temple is a must! Beware as they run amok among the people! 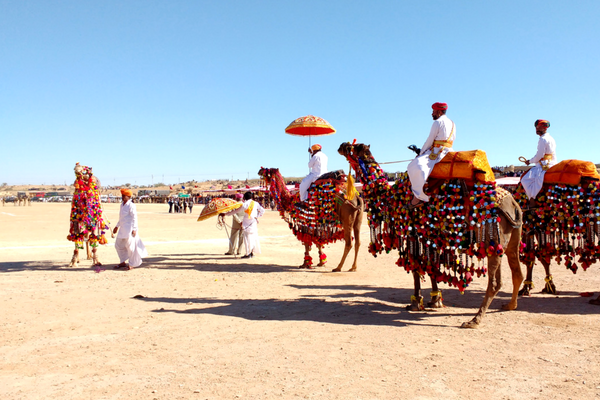 Bikaner Camel Festival is a surreal experience which you should not miss. Junagarh Fort, Lalgarh Palace are beautiful and worth a visit on your Rajasthan trip. One of the most ancient cities in Indian history, Chittorgarh has many heritage forts, palaces, and monuments which are associated with stories and fables of bravery and sacrifice. 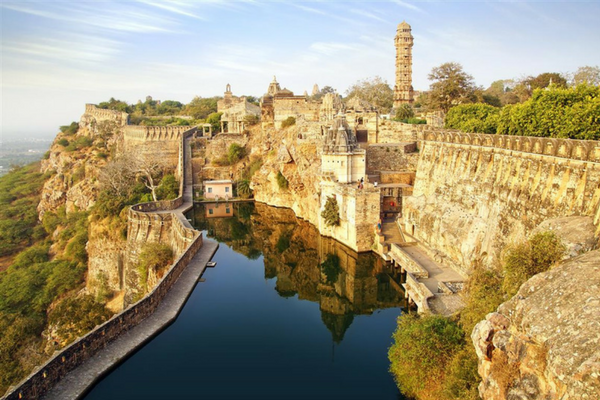 If you want to experience something breathtaking, Chittorgarh is one of the best places to visit in Rajasthan. The city is the birthplace for many historical figures including Maharana Pratap and Meera Bai. Don’t miss the stunning Chittorgarh fort, Rana Kumbha’s palace, Fateh Prakash Palace and Rani Padmini’s Palace. 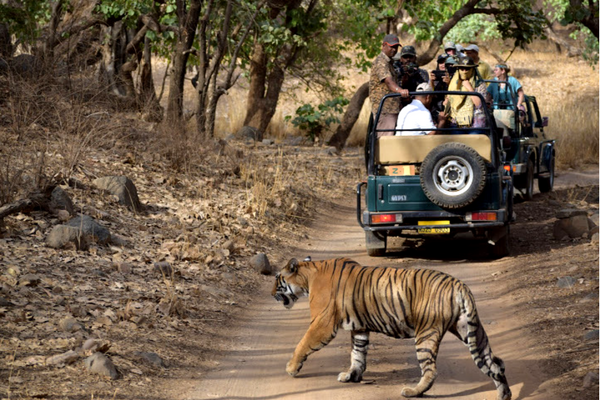 If adventure and wildlife excites you, then Ranthambore is a place you should consider during your Rajasthan tour. One of the best places to spot Tigers, plan for a jungle safari and spot these majestic beasts among other wildlife. You can camp in the jungle for a surreal experience. Head to the 10th century Ranthambore Fort, which lies within the National Park. 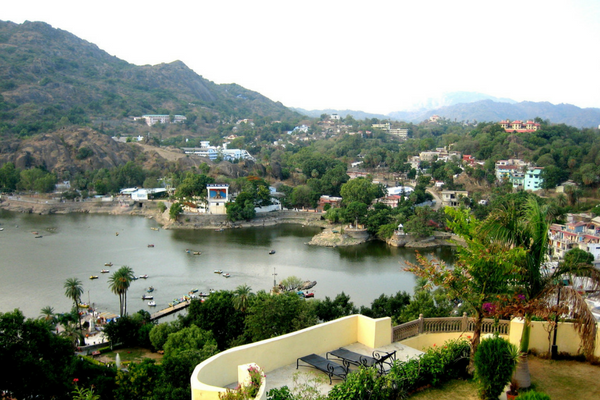 Known to be one of the best places to visit in Rajasthan, Mount Abu takes pride of it being the only hill station in the desert state of Rajasthan. This hill station is strewed with ancient sites and temples and offers stunning vistas of Aravali ranges. Don’t miss the beautiful Dilwara Jain temples. Enjoy a boat ride in the serene Nakki Lake. A day trip to the Mount Abu Wildlife Sanctuary should be on your itinerary and go about exploring the beautiful flora of Mount Abu. A melange of opulence best exemplifies Rajasthan with its grand forts,and palaces. We get you the best list of places to visit in Rajasthan. My office group has planned a trip to Rajasthan. I hope they include most of what places which are mentioned in this list. Really excited!! Really enjoyed reading this article. Hope to visit Rajasthan some day.